Disclosure: Disney provided me with 4 park hoppers to aid my post. 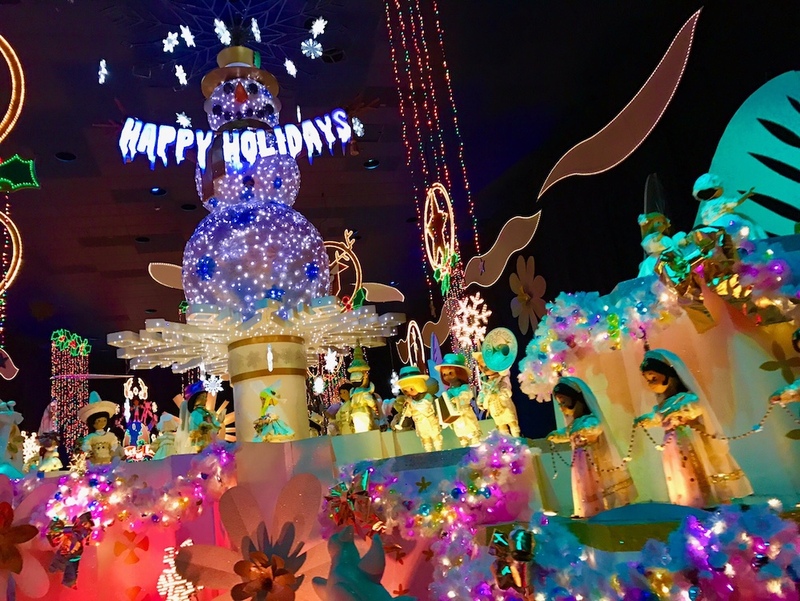 Disneyland Holidays 2016 is packed with many new features and yet holds on to all the traditional classics: Let’s start with Disneyland’s “It’s a small world”. It is as glorious and beautiful as ever in it’s dazzling illumination. 2016 marks it’s 20th anniversary and it’s not to be missed. 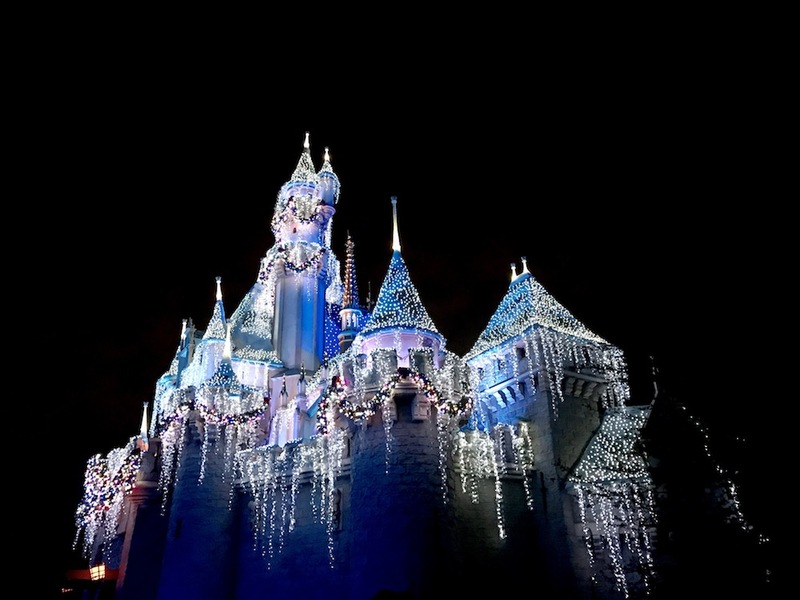 Not only does it sparkle in tiny lights it also showcases an animated holiday display every 10 minutes or so. Waiting in line is almost as entertaining as sailing the ride itself. The best time to ride is definitely as the night sets upon the park. 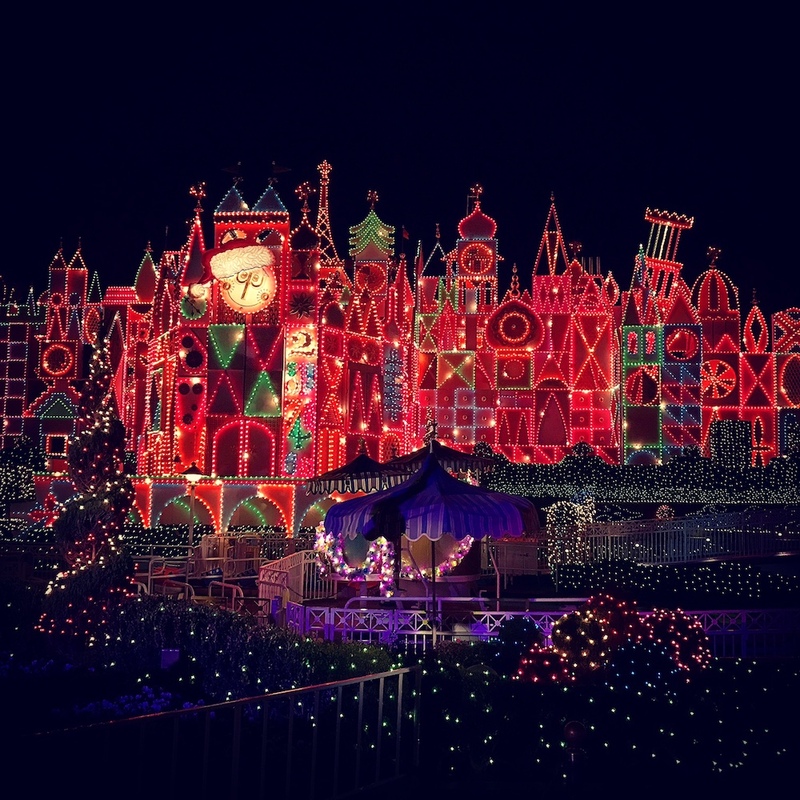 Disneyland during the Holiday season can’t be missed. I enjoy going to the park and walking around in amazement of all the holiday lights with a hot cocoa in one hand and some type of sweet treat in the other; churros, beignet, or gingerbread men. As always, The Haunted mansion is a must see along with the Christmas Fantasy parade and the lit Sleeping Beauty’s Winter Castle with magical snowfall moments. Then we hop across the entrance to Disney California Adventure where the new “Festival of Holidays” is celebrating time-honored traditions inspired by diverse cultures with music, dance and craft-making plus traditional foods. 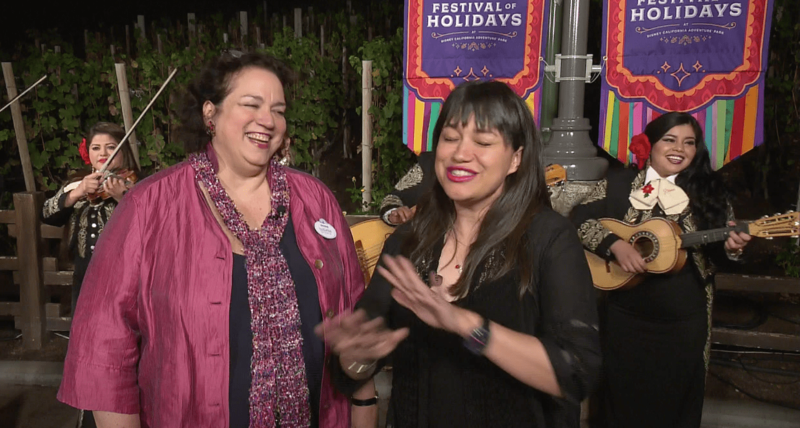 I was lucky to get a chance to chat with Susana Tubert (DCA creative director) about the daily lineup of entertainment including nearly 50 performances of nine unique shows with special Disney characters, the popular Disney ¡Viva Navidad! street parties, musical ensemble and dance performances. I also got a chance to cook with Chef Amy and we made Holiday Kugel. 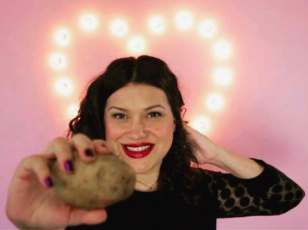 Watch the video below to see how easy it is to make and how we celebrated the classic Jewish dish. A visit to Disney’s California Adventure during the holidays would not be complete if you didn’t stop in to Santa’s Holiday Visit at Redwood Creek Challenge Trail. 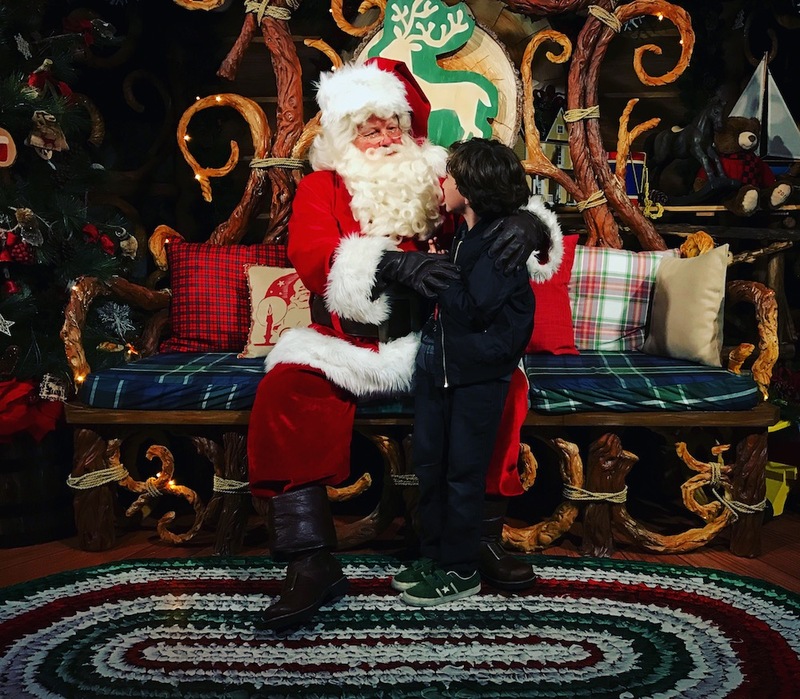 My son got a chance to chat up Santa and meet his elf Ginger. A professional photographer on site captured the moment and we were able to download the image when we got home. As always I am so thankful to be able to kick off the holiday season at the happiest place on earth and it really is. 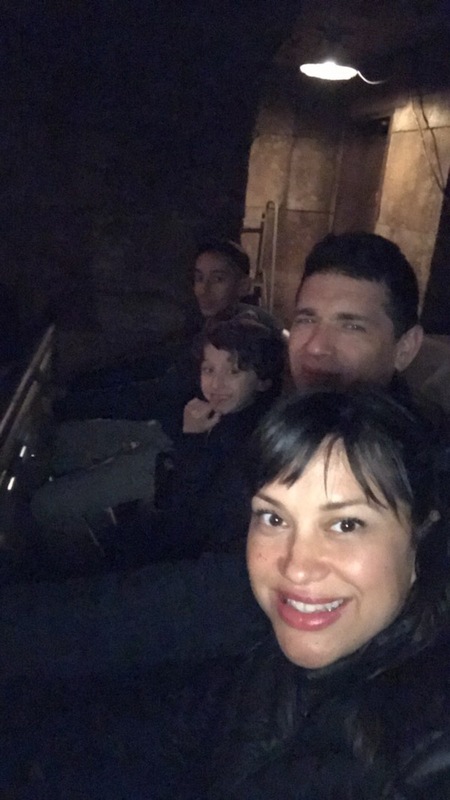 Our faces say it all.